I'm a little bit behind, but better late than never. 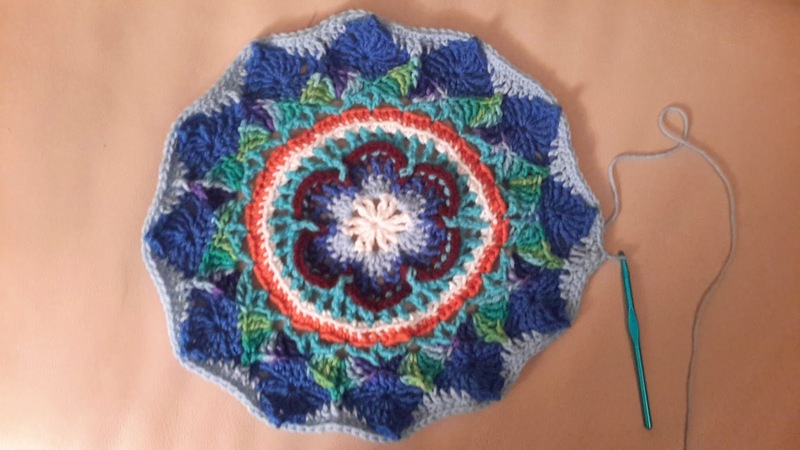 Here is my Week 2 Crochet a long, it's looking very pretty. But I am definitely gonna need more yarn! Time to go on a yarn run!